scoring game was the one that kicked off the weekend as West Ham registered their first home win of the season thanks to a 3-1 drubbing of Jose Mourinho’s United. Elsewhere, Man City and Arsenal registered routine victories at home to Brighton and early season surprise package-Watford respectively. After two successive defeats, Tottenham made it two wins in their last two games thanks to a Harry Kane brace which propelled the West Londoners to a 2-0 victory at Huddersfield. Aside from Huddersfield, the other two teams still yet to win a game, Newcastle and Cardiff both lost their respective home games to Leicester and Burnely. Signed on a free transfer from Sporting this summer, Wolves goalkeeper Rui Patricio is already proving to be one of the acquisitions of the window. The Portuguese made six saves in Wolves 2-0 win over Southampton, showcasing the pedigree that has seen him capped 75 times for Portugal. RB. 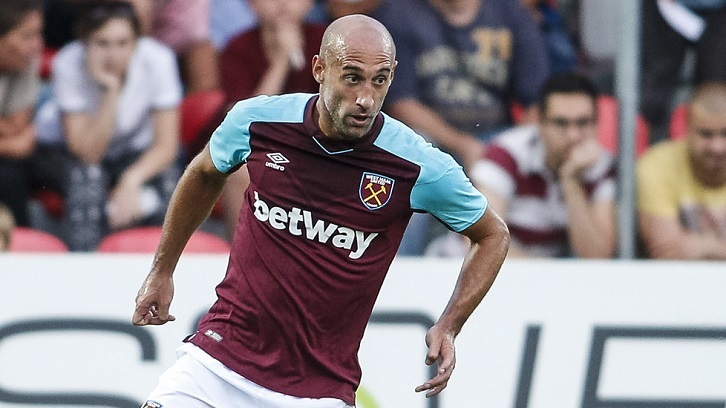 Pablo Zabaleta (West Ham United). Second time on the bounce that Zabaleta makes my team of the week. After a stellar display against Chelsea on match day six, the Argentine was at it again as West Ham beat Man United 3-1 on Saturday. He rolled back the years with a surge forward to set up Felipe Anderson’s opener as his side registered a second victory of the season. Rudiger made 71 passes in Chelsea’s draw with Liverpool but that wasn’t it all as the big German was all-over the Kops’ front three, barely giving them time to control a ball. He may not be the most elegant of defenders but one who clearly gets the job done for Maurizio Sarri. CB. Harry Maguire (Leicester City). A goal and an assist for arguably Leicester best player this season and it’s not every day that a center-back achieves such a fate. Maguire also Maguire recovered possession on nine occasions against Newcastle; the most of any Leicester City player. Registered his first Premier League goal against Southampton and also helped Wolves keep a third clean sheet of the season. MF. Mark Noble (West Ham United). The West Ham captain and fans’ favorite stood out in their 3-1 victory against Manchester United. He made more passes than any team-mate and provided an assist for Marko Arnautovic. Noble also attempted and completed more passes than any other West Ham player against Manchester United on Saturday. Sigurdsson scored twice as Everton beat Fulham 3-0 at Goodison Park. After an indifferent debut season, the playmaker has returned to a more central role this year and delivered a performance on Saturday to justify his club-record price tag. The only downside to his display on Saturday was the fact that he failed to convert a penalty. Mesut Ozil has scored two goals in his past three Premier League games, as many as he managed in his previous 18. He was so instrumental against Watford over the weekend that it was just unfortune that he did not get the assist for the second goal in the 2-0 victory. FW. Raheem Sterling (Man City). Against Brighton, Sterling was immense, and the speed with which his game has improved under Pep Guardiola is staggering. He was directly involved in both of Manchester City’s goals against Brighton (one goal and one assist. The best player in the Premier League without a doubt. After scoring a wonder goal at Anfield on Wednesday night, Eden Hazard continued his fine form and repeated the trick in Saturday’s evening kick-off, opening the scoring as Chelsea drew 1-1 with Liverpool. FW. Harry Kane (Tottenham Hotspurs). Kane scored both goals as Spurs won at Huddersfield. He now has 5 for the season, just one behind Eden Hazard as he seeks the third Golden Boot of his career.